Ever been to a bicycle shop and came across different type of cycles? Did it leave you wondering what is this type of bicycle called and what is the purpose? If your answer is yes, this article will help you understand the different type of cycles and their purpose. If you are looking to just ride within the city, consider getting yourself a city bicycle. These bicycles come with a simple frame geometry with a raised handlebar that offers you an upright riding position offering the rider a lot of comfort. The bikes also have a large seat to that makes riding even better. 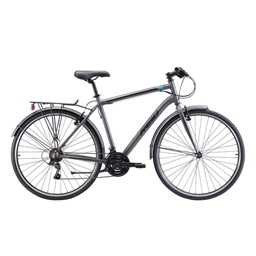 There are also women specific city bicycles available that offer more comfort. A bicycle ideal for fitness, and long distance touring is a hybrid bicycle. Hybrid bicycles are basically a combination of a road bike (700c road bicycle wheels) and a mountain bike (flat handlebars). These bikes are more towards performance and offer an efficient riding position. There are a wide variety of hybrid bicycles available in the market. Some have wider tires and a suspension fork up front, to take the sting out of rough roads, while others have narrower tires and a rigid fork for more efficient tarmac riding. Ever happened to skip through TV channels and came across men in lycra on sleek bikes? Those type of cycles is known as road bikes! Designed for performance and speed, road bikes are light and meant to be ridden on paved roads. The geometry of these bikes offers a short wheelbase, low bottom bracket, and the steep headtube that lets the rider to react instantly. The bike also offers a low centre of gravity which is suitable for turning. Other characteristics of these bicycles are the thin tyres 20-25mm width placed on 700C wheels. The bike also comes with a drop bar handlebar that positions the rider in an aero position. If you are looking for a bicycle that can be ridden with ease on city and off-road, mountain bike is what you should be looking at. 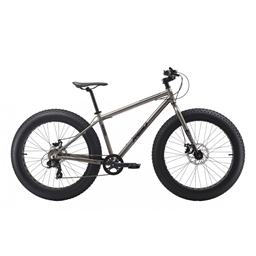 As the bicycle comes with wide tyres that offer extra traction and an upright frame offering higher clearance, it is easy to ride on a variety of surfaces, including gravel, dirt, rock and sand. Besides, these type of cycles also has a wide range of gearing that offers a variety of gears to choose while riding on flat or steep terrains. 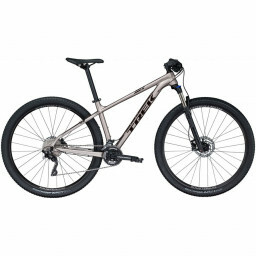 MTB’s are usually available in 2 types; the hardtail (front suspension) and a dual suspension bicycle (front and rear suspension). As the name suggests, this type of cycles comes with fat tyres which are oversized. Such types of bicycles are meant to be ridden on snow, sand, dirt tracks and on rocky terrains. The wide tires are what make it possible to offer the rider more traction and cushioning. Also, the versatile bikes come with wide tires that make carrying loads much easier. Ever came across something called an Ironman? If yes, we are sure you’ve seen them on bikes and skin-tight lycra in a very aero position. These bikes are called as a time trial or TT bikes! frame design and also an addition of time trail specific handlebar extension to make the riding posture aero. 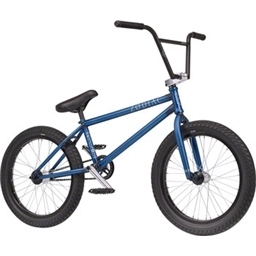 If you are looking to perform stunts on a bicycle, a BMX bicycle is what you should be looking at. These types of cycles come with small frame and wheels. They also have a flat handlebar and no gears. In spite of their small size, the bikes are strong and can handle the weight of an average adult while performing the stunts. The best part about BMX bikes is the 360° rotational axis and extension tubes from the front and back tire hub flanges which are all used to perform tricks. Dislike commuting by public transport? Get yourself a foldable bicycle. The bicycles are designed specifically for commuting. The bikes are light can be easily folded into a compact form (size of a suitcase) that can be carried around easily on public buses or trains. Check out India’s first foldie, PPOF. These bicycles place the rider in a laid-back reclining position. These type of cycles let the rider distribute its weight comfortably over a larger area, supported by back and buttocks. 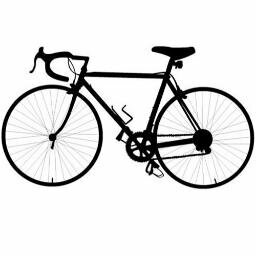 If you’ve noticed the upright position of a traditional bicycle, the body weight rests entirely on a small portion of the sitting bones, the feet, and the hands. However, on recumbent bikes, it is distributed over a larger area. 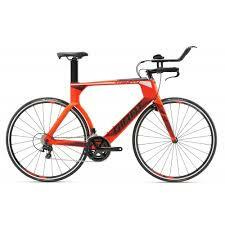 These types of road bikes are specially designed for the paved roads. These bikes offer good durability and an ideal for self-supported long distance riding. Fixed gear bikes, also called as fixies, are designed to be ridden on a velodrome. These bikes are so called because the rear hub of the bicycle is locked that is used as a way to stop. Most of the bikes do not come with any brakes. You might want to see the movie premium rush! Also called as ‘Cross bikes or CX bikes, these bikes are specially designed for mixed types of surfaces, which could be a combination of both paved and unpaved trails with gravels and grasses. Tandem bikes are bicycles that are especially made for two people or riders to ride. 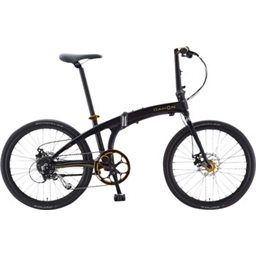 Such type of cycles are available in all types of styles, from cruiser tandems and hybrid tandems for the bike path or boardwalk, off-road mountain bike tandems, and high-performance road racing tandems. However, not all might be available in India. Choosing the right type of cycles might see easy at the start. However, once you get into it, it might seem pretty daunting. If you are looking to buy a new bicycle for adults, here’s our definite guide that should help you choose the right bike.